CFB: It is great to find another fan of Irene Mayer Selznick’s autobiography. I knew very little about her until I read Scott Berg’s Kate Remembered, his biography of Katharine Hepburn, with whom he became great friends. He was also friends with Irene, and she really intrigued me. By this time it was later in her life, after her autobiography had been published, and I wanted to know more about this woman. relation to the two key men in her life. CFB: I’ll need to read the David Thomson book. I’ve read a few others on David O. Selznick. It interests me that several books infer that Irene had an iron will and you didn’t want to cross her. Yet I didn’t get that feel from her autobiography. I guess the truth lies somewhere in between. Still, I very much wish I could have met this woman. You would expect that someone who was brought up in Hollywood during the 1920s would have been part of the jazz age/flapper set. Yet I was amazed at the quiet life Irene and her sister Edie lived. It wasn’t sheltered, but it wasn’t flamboyant, either. TLE: My impression was that Irene and Edie’s lives under their father’s roof were intensely scrutinized and fairly insulated. Louis B. was vigilant and protective to the point of warning his girls not to become smitten with #1 Hollywood bachelor Irving Thalberg (before he married Norma Shearer) because of his ill health. Irene wrote that they were allowed to socialize with him but were never seated next to him at dinners or events. Irene seems to me to have been a stifled child. She behaved very self-protectively, careful not to reveal much about her thoughts or feelings to her parents. She had a stammer, something that developed in childhood and apparently lasted most of her life. Probably the most telling statement she made about her early life was that her parents had given her everything but a sense of her own worth. Irene grew up to be more her father’s daughter than her mother’s. She was very bright, discerning and determined. And she was a good-looking woman, stylish and modern in her day. 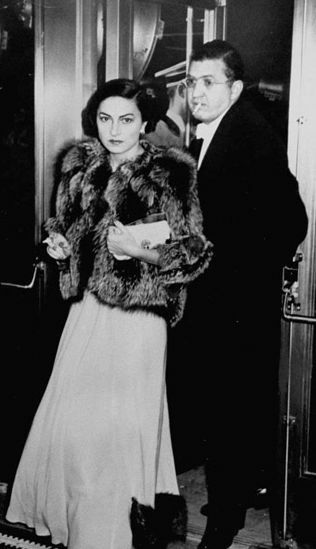 I have the impression that David O. Selznick counted on her for quite a bit during their 19-year marriage – which may be why he could never completely let her go. She had been his foundation and sounding board during those years when he achieved the heights. CFB: Great impressions, and you are on target. 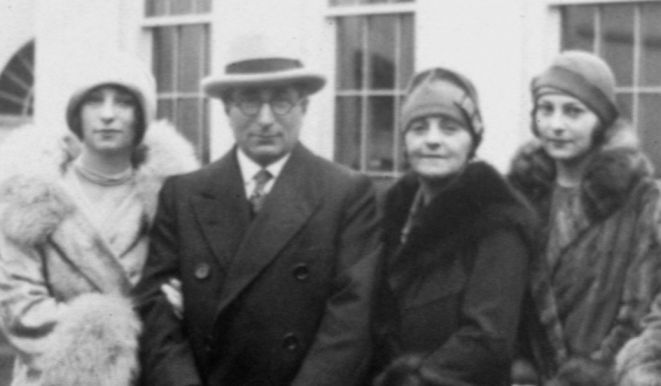 I do think Louis B. was overly protective, yet Irene never seemed to shy away from more intellectual pursuits. Where her older sister, Edie, definitely focused on the clothes and societal aspects of life as she came of age, she preferred people whose minds she admired. I enjoyed her fond recollections of William Randolph Hearst (and not-too-fond memories of Marion Davies, who also had a stammer). He treated Irene as a woman with a brain, and she treasured their conversations together. David did the same thing – he recognized that she was his equal in that regard. 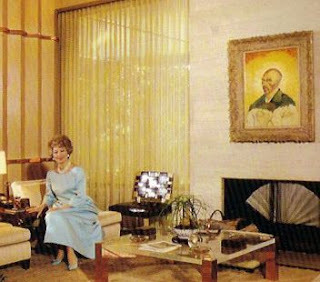 As for her father, Irene paints a side of Louis B. in her autobiography that many may not be aware of. She recalls when he – notoriously fond of Americana and family-friendly fare – saw A Streetcar Named Desire, which Irene produced for the stage. Louis B. came to the tryouts in New Haven, and Irene was worried about his reaction. Others were respectful but weren't gushing, but it was Louis B. who pulled Irene into a room and told her, “You don’t have a hit, you’ve got a smash. You wait and see.” She was then shocked to see her father and Elia Kazan, the play’s director, deep in conversation and clearly enjoying each other’s company! TLE: You touch on a significant aspect of Irene’s life, her disastrous relationship with her sister, Edie. Theirs was a sibling rivalry that eventually drove them completely apart. 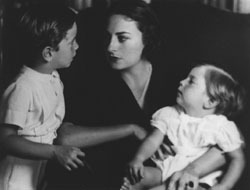 Edie had suffered ill-health when she was young and, as a result, received a lot of special parental care and attention. Because it was expected of her, Irene deferred to her “frail” sister’s every whim. As the two grew up, Irene became the more popular of the two and was part of Hollywood’s up-and-coming younger crowd. This didn’t escape Edie's notice. Edie was a woman of great social ambition. Her husband, Bill Goetz, was a producer, though not a trailblazer in the way L. B. Mayer or David Selznick were. Mayer brokered Goetz’s partnership at 20th Century Fox and it’s said that the snide inside-the-industry crack “the son-in-law also rises” was aimed as much at Goetz as it was Selznick. Goetz’s most significant film was Sayonara (1957), and it earned an Oscar nomination for Best Picture. He was a canny and forward-thinking businessman and enormously popular in Hollywood. Once the Selznick’s split up, he and Edie were at the heart of its social scene and remained so until his death in 1969. 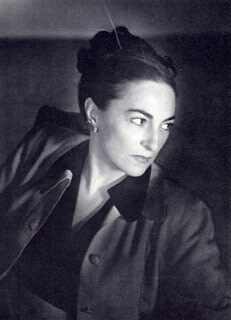 Edie quickly lost her social clout once Goetz died. In her book Irene writes that it amused her father to ask her opinion of a movie and then try to argue her out of her point of view. When she was dating Selznick, they went to a preview of a picture of his one night and afterward he asked what she thought of it. Irene replied with noncommittal remarks - and he challenged her, “…speak up; no one’s going to hold it against you. If you’re afraid, I promise you no one will ever know a word you’ve said.” Irene writes that she was afraid but over time she felt free enough to say anything she wanted to him. Selznick told her that he was undoing the damage her father had done. David Selznick was the younger son of Lewis J. Selznick, L.B. Mayer’s one-time employer and long-time anathema. The Selznick boys were on Mayer’s “off-limits” list for his girls, but Irene and David, once committed, were not to be stopped. It seems to me that Irene may not yet have had a true sense of her own worth, but she was developing a mind and will of her own. CFB: She clearly had a will of her own, and I like how you track it from those observations about film to her conversations with David. She really needed an iron will, considering the men in her life. She could stand up to her father and husband, so dealing with Edie probably was more frustrating than anything else. Irene was great friends with Katharine Hepburn, and you know Hepburn was no pushover. Still, Irene spent years in analysis, and she was never afraid to admit it or discuss how it helped her. Perhaps that is what grounded her considering the characters around her. Berg was very fond of Irene, and it’s interesting to have this insight when you read her autobiography. Her book was no frivolous undertaking to cash in on her fame, and I believe she took great care to analyze her life before setting it down on paper. Eve, I feel like we could talk about Irene for days, but perhaps we should wrap this up. Any final thoughts about this fascinating woman? TLE: I’d like to talk a bit about Irene Mayer Selznick’s accomplishments after she departed Hollywood. Her family and friends are extremely interesting, of course, and her life was entwined with the history of movies in America, which is covered in her book, but there was more – she managed to reinvent herself and carve out a career of her own in New York. Irene’s decision to leave Selznick and relocate on the East Coast was bold. She wasn’t sure what she might achieve, but turned to old friends for advice, friends like famed playwright/director Moss Hart who urged her to pursue her dream of becoming a theatrical producer. After a while, she rented an office, hired a general manager and got going. Her first production, an Arthur Laurents play starring Shirley Booth, didn’t get to Broadway but closed after an out of town tryout. Laurents later retooled the play, came up with a new title, but kept Shirley Booth - who won a Tony for her role. David Lean later adapted it to film; this was Summertime (1955) starring Irene’s good friend Katharine Hepburn. It was on Irene’s 40th birthday that she received the script for what became her second production and it was this play that established her – and everyone associated with it. The play was A Streetcar Named Desire by Tennessee Williams; it debuted on Broadway in 1947 to a half-hour standing ovation. 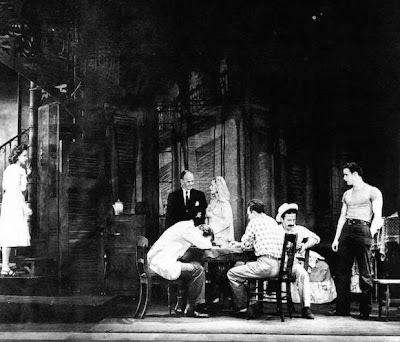 According to Irene, the play made director Elia Kazan “a king.” It also made Marlon Brando a star (he went straight to Hollywood after the play and never looked back), brought a Tony Award to Jessica Tandy, who played Blanche Dubois in New York, and a Pulitzer Prize to Williams. The film adaptation would win four Oscars. Irene was certainly a powerhouse, she went toe-to-toe with the indomitable Kazan when they worked on Streetcar (perhaps second nature to her by now, after dealing with her father and husband). In fact, Tennessee Williams had a habit of referring to her as “Dame Selznick,” apparently acknowledging her pedigree and her demeanor. Irene produced several more Broadway plays. 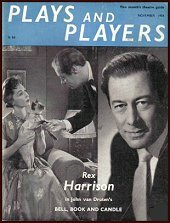 Her production of Bell, Book and Candle in 1950 starred Rex Harrison and Lilli Palmer and was adapted to film in 1958 and became a hit starring James Stewart and Kim Novak. Irene’s production of The Chalk Garden in 1955 brought her a Tony nomination; the film adaptation starred Deborah Kerr. In her memoirs Irene described her life as a play in three acts, the first as her father’s daughter, the second as wife to her husband, and the third act was her career in the theater. She wrote, “With perseverance I’ve gotten this far. Now, with a little more luck, I’d like to grow very old as slowly as possible.” She died in New York in 1990 at age 83. I’ve really enjoyed this, CFB, and want to thank you for inviting me to discuss Irene Mayer Selznick's incredible story with you. CFB: You're welcome. Detailing her amazing theater work – which many people may not know of – is a wonderful way to wrap up a conversation about Irene. 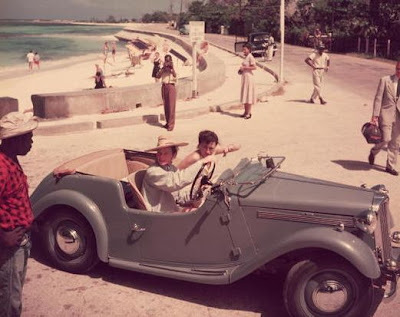 She wasn’t just the daughter of mogul Louis B. or the wife of wunderkind David O. She was a tough, sharp and respected Broadway producer, and her stage work alone represents a strong legacy. Click here to visit Classicfilmboy's Movie Paradise. Click here to learn more about the evolution of A Streetcar Named Desire. Fascinating discussion and a terrific job by both of you as well as a great idea. Other than the fact that she produced A STREETCAR NAMED DESIRE, which I must have read about reading about Kazan or Brando, I knew nothing about her professionally, or otherwise so this was very educational as well as entertaining. Great job to you both! Thank you, John. I would highly recommend Irene's autobiography, "A Private View" to anyone interested not only in her life but also the history of American movies. Her memories stretch from the infancy of the film industry in the U.S. into the 1960s. Of course, she was pivotal in bringing "A Streetcar Named Desire," a play that had a revolutionary impact on American theater, to the stage...not to mention launching Marlon Brando's career - which, in turn, had a revolutionary impact on acting in this country). Thank you as well, John. I second Eve's recommendation to read her autobiography. I think you'll really enjoy it. TLE, I'm really glad you found that audio clip and included it on the post. Irene actually addresses that clip in her book. Because of her stammer, she was petrified that she had to speak on the radio and rehearsed that short bit over and over. She was relieved that it went well and said it was the last time she ever spoke into a microphone. Eve and Filmboy, I second John in using the word "fascinating" to describe this post on an unusual and unexpected topic. I'd never heard of her before reading Kazan's autobiography. He worked with her more than once. I got the impression that she wasn't taken very seriously at first but from a base of intelligence and good instincts quickly became a formidable, professional presence in the NY theater scene. The details about her life your discussion added just made her seem all the more interesting. Awesome conversation on an intriguing individual who had a front seat during the making of some of the greatest films to come out of Hollywood. I especially enjoyed hearing how her father asked for Irene's opinions on his films. In Leonard Jeff's book on Hitch and Selznick's collaborations, he notes that Selznick had great reservations about REBECCA until he showed Irene some of the footage and she assured him it would be a big hit. It's interesting, too, that Selznick made very few films after his divorce from Irene. 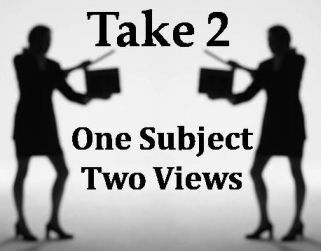 Looking forward to the next Take 2 installment. nicely done you two, but is this a real conversation or a "Hollywood" conversation???? I thought this Take 2 idea was wonderful the first time I heard it from CFB. You two have started out with a bang! Your conversational style and insights are a pleasure to read. Irene's early life, in my opinion, mirrors the life of many women of her era. Strong women were always considered "iron willed" - "don't cross her" - that kind of thing, where men were named as just strong and focused. It must have been difficult for a girl to grow up among such incredibly ambitious and strong people, but she really came into her own. I too was most interested in her Broadway career. For a woman in that era to produce a play as controversial as A Streetcar Named Desire was an incredible coup. Irene was something special. Your Take Two has dont its job, CFB and Eve! I want to read this book! Excellent post from two very talented movie writers! Kudos! That was a most interesting read, and it sounds like I have to catch up on my reading. I know you couldn't comment on everything in her life, but I was wondering what her thoughts on Jennifer Jones were? Thank you all for the comments and for contributing to the conversation about Irene. Doctor Sabelotodo, I'm not sure if you're joking or not, but this is the transcript from TLE and I discussing Irene. It's the real deal. RD, Rick and Becky, your comments are similar in that she was a strong woman in an era when women fought to be heard, and yet she clearly had something valuable to say, whether it was her opinion on films or her selection of plays to produce. Kevin, she was friendly with Jennifer. If I remember correctly, the marriage was starting to show some cracks when Jennifer showed up. Irene and Jennifer remained on good terms for years. Rick - It seems that once Selznick was with Jennifer Jones his obsession was to make her a star and produce vehicles for her. And then his health began to fail. Becky - According to one writer, neither Irene nor Edie ever entirely forgave their father for not allowing them to go to college. Edie then took the more conventional route and Irene eventually blazed a trail. I admire her enormously. Kevin - I hope you will check out Irene's autobiography! Irene was well aware that Jennifer Jones was not Selznick's first paramour (nor the first he wanted to make a star) but the timing of it was such that Irene was ready to call it quits by the time those two were seeing each other. The true casualty in the affair between Selznick and Jones was her husband, Robert Walker. 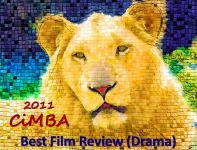 Very interesting post, I love learning more about the Hollywood actors.Looking forward to readind the next installment. Well, I had to come back - your responses are interesting too! CFB, I didn't think to mention it in my first comment, but I really felt I could understand Irene when you quoted her as saying that her parents had given her everything except self worth. It explains a lot about why she was so upset about not being able to go to college, which frankly was not strange in those days when women were expected to just get married anyway, and college sometimes was looked at as a place where parents could not control the actions and morals of their daughters. It is amazing she, unlike her sister, came through this so completely. Frankly, Irene reminds me of my grandmother in that way. Eve, I've always felt so badly for Robert Walker. He was so fragile mentally anyway, treating himself with alcohol as so many people with chronic depression did in the days before medication, then to lose his wife in such a public way must have been fuel to the fire. Fans magazines and movie star lovers forget that behind the "great romances" are people left shattered and heartbroken. There are so many examples of this in Hollywood. Now you've got me more interested in reading this book! Thanks, Dawn. CFB will be talking with other bloggers on other subjects for future Take 2 posts. Wonderful insights! I know very little about Irene Mayer Selznick, but it sounds like she had quite an interesting life. I will definitely have to read more about her. Jill - Irene's autobiography is excellent, and a great place to start to get to know her (once I became aware of Irene, I noticed that her name seemed to crop up everywhere). Very glad our conversation sparked your interest. I will definitely add to my to-read list. Thanks for the suggestion! Becky, I also feel bad about Robert Walker. Irene forged on with her life, but Robert died young. Very tragic. I second TLE's comment about adding this autobiography to your reading list. I guarantee you won't be disappointed. This is an awesome biography by a very powerful lady. I'll be she was something! A great post - Bravo! Thanks FlickChick. Irene was certainly a very powerful,influential woman. 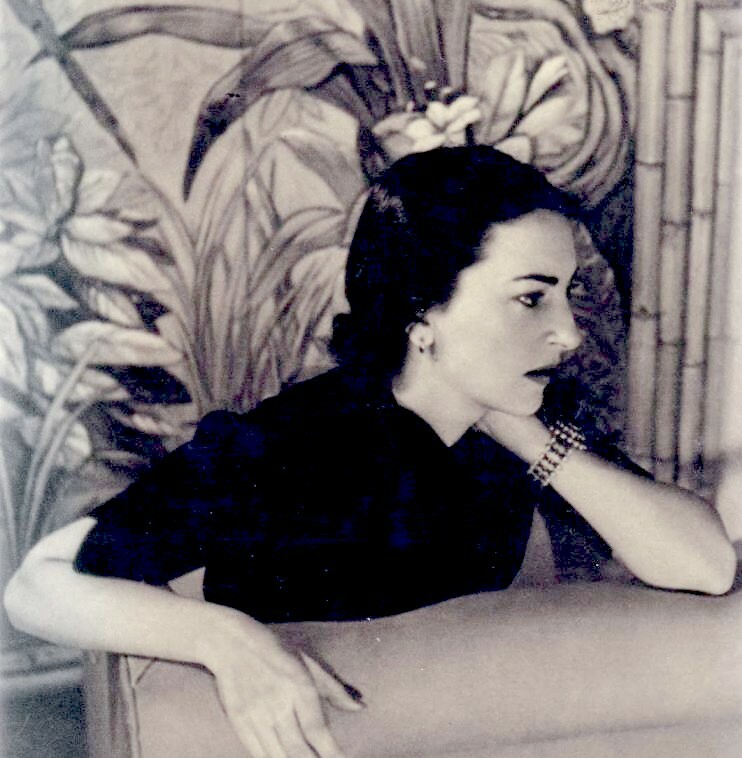 According to one of the biographers of Tennessee Williams, she was also very generous: She provided "...all the support and creative freedom he needed..." and "arranged for him to have his choice of residences" among her houses - one on Summit Dr., a beach house and a bungalow in Malibu - when Williams went to California to see Jessica Tandy in a play. Of Irene, the biographer noted, too, that "there was no doubt she loved the play and was moved by its tragic grandeur..."
David was living, separately with Jennifer Jones. She resented time spent with her boys. They both were in therapy. I thought her a sad excuse for a mother. When she insisted that I participate in the boys' psychotherapy, I decided to leave the situation . I was too young and inexperienced for this responsibility. And, coming from a stable family the sick relationship was beyond my ability to cope. I left with a great feeling of sadness for the teen age boys without a loving parent. i too adored irene's book (as well as berg's). i too found irene & edith utterly fascinating, but ultimately kind of hideous. self-centered & egocentric, both women were both examples of over indulgence. i especially enjoyed irene's foray as a social worker during the war. buying her dress off the rack & a beater for a car, she lived the role & became the actress she must've always wanted to be. edith was appalled. don't get me wrong, i'm enthralled by these women, but i can't admire them when i know they'd think of me as a washroom attendant. I read Mrs Selznick's book when it first cam out. I thought it was wonderful, I thought she was wonderful. After reading about her as a character in so many other Hollywood biographies it was a treat to read that she emerged from Hollywood and became her own person. I was going to write her a fan letter but I found she was listed in the New York phone directory. I called and the maid put her on. "I really liked your book and I wanted to tell you so. I was going to write..." then she interupted... "Oh I wish you had, thank you", then she hung up. I was delighted all the same. Love that you actually spoke with her, albeit briefly. Well, Irene was a straightforward, no-nonsense woman - and, obviously, gracious. Thanks for stopping by and sharing your story.